J. Mane Gallery is pleased to present its H2O International Online Juried Art Exhibition for the month of July 2018. For this competition artists were encouraged to share their artistic vision and interpretation of water; the sea, the lake, a stream, the rain. The artwork varies from realism to surrealism to abstraction. All artists over the age of 18, regardless of location or experience, were encouraged to submit their best inspired art and photography. Each of our monthly themed exhibitions, awards for First, Second and Third Place. The First Place winner for the H2O show is Lin Ji for his 3-Dimensional wood piece, The Interpreter. Our jurors commented, "Exploring various qualities of water without using or showing water. They are balanced and immobile but capture that slow and steady movement of water." As the First Place winner, Lin Ji will also be our Featured Artist for the month of June. Taking Second Place is Thomas Watkins for his photograph, Flow. Juror, Rob Sietz commented, "Really captures more of an abstract quality of water rather than a literal take." 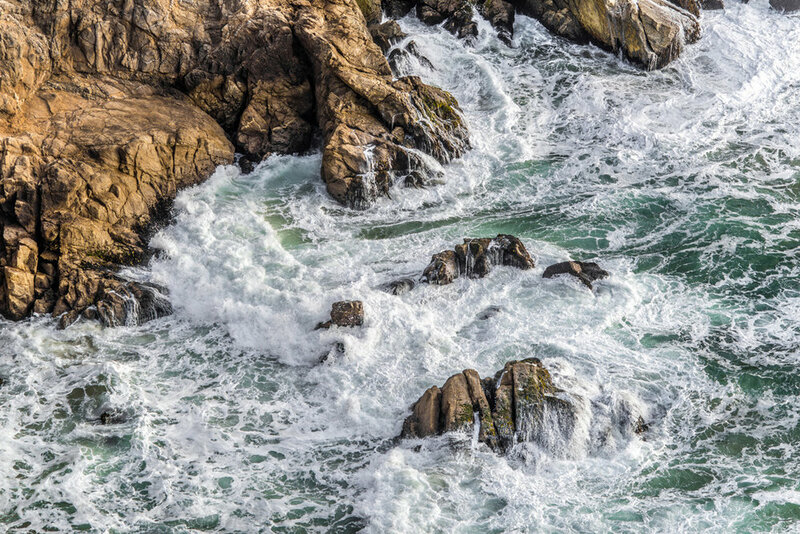 And, Third Place goes to John Mazlish for his photograph, Pacific Surf. Our jurors selected this work becasue it "shows water as a force". Five honorable mention awards were given as well. Honorable Mention awards go to Mia Baila for her acrylic painting, Jumping For Joy, Michael Duke for his photograph, Rage, Kristopher Schoenleber for his photograph, Dwarf, Eric Seplowitz for his photograph, Hull, and Stephanie Whitney for her monoprint, Sunset On The Susquehanna. If you are interested in purchasing any of the artwork in this exhibition, please contact the artists directly. J. Mane Gallery does not enter into the selling of artwork featured in any of the monthly online exhibitions. You will find the artist's website or email by clicking on their image below.